An application has been filed in the Supreme Court seeking recusal of Chief Justice of India Dipak Misra from hearing the multi-crore Bofors scam case. The application filed by the petitioner and BJP leader Ajay K Agrawal seeking recusal of the CJI alleging that his conduct during the proceedings in the case had raised doubts in the mind of advocates and media persons that he is "committed to dismiss the matter without going into the merits of the case". He pointed out the last hearing in the matter on January 16 in this regard when Congress leader and senior advocate Kapil Sibal was allowed to intervene in the matter without any locus and despite Agrawal's strong objections. "Through this application the appellant is seeking recusal of Hon’ble Chief Justice of India since the proceedings progressed on the last day of hearing of this matter i.e, 16th January, 2018 raised doubts not only in the mind of the appellant/applicant but all the advocates and the Media persons present at that time in this Hon’ble Court, that the Hon’ble The Chief Justice is prejudiced and committed/bent upon to dismiss the matter without going into the merits of the case," he says. "Former Law Minister and presently Congress Spokesman Senior Advocate Mr. Kapil Sibal was allowed to speak on that day as a hopper and was not stopped from speaking even after the appellant/applicant repeated objection to it. When above noted matter (item-103 on that day) was called upon Mr. Kapil Sibal, Sr Adv. who was already sitting in the front row on the left side hops on the advocate’s addressing dais and started addressing this Hon’ble Court and said that matter is 31 years old and the appellant has no locus standi," adds Agrawal. He goes on to narrate how he "immediately came forward and asked that for whom Mr. Kapil Sibal represents. He was silent. Present appellant/applicant requested the Hon’ble CJI to ask from Shri Kapil Sibal that for whom he is appearing and if he is not appearing for anybody then being a meddlesome interloper this Hon’ble Court may immediately stop him from interfering/intervening in the proceedings of this Hon’ble Court. But Hon’ble the Chief Justice did not stop him from interfering in the matter". When the appeal came for hearing on January 16, a three-judge bench headed by CJI Dipak Misra asked how a third party could maintain an appeal in a criminal matter. The matter was then adjourned to February 2 for hearing on the locus standi of Ajay Agrawal to challenge the acquittal. While so, the Attorney General has rendered legal advice against the CBI filing appeal at a belated stage. He opined that there was strong likelihood of the appeal getting dismissed on the ground of delay, and such dismissal could prejudicially affect the other appeals challenging acquittal. So, he suggested it was better for the CBI to present its case as a respondent in the other appeal filed by Ajay Agrawal. He wrote to Attorney General KK Venugopal urging him to direct the CBI to file reply affidavit in his appeal against the 2005 verdict of the Delhi High Court that acquitted Hinduja brothers and other accused in the Bofors case. The CBI has not filed an appeal in the Supreme Court challenging the acquittal order of the high court. Therefore, Ajay Agrawal filed the appeal in his personal capacity. 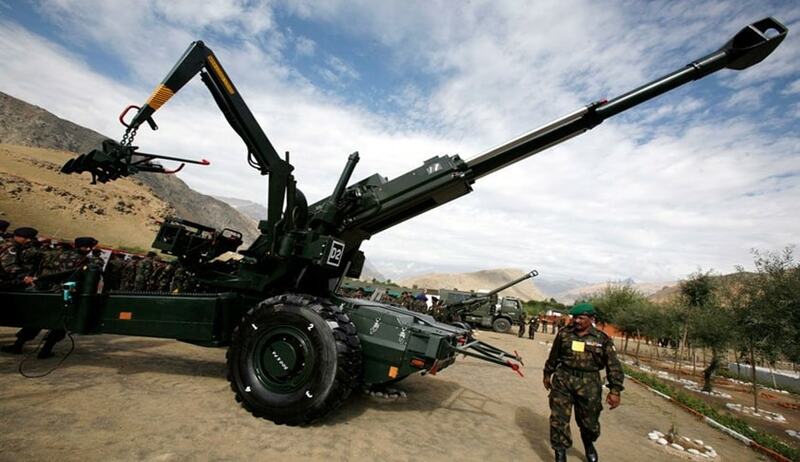 The Bofors scam, relating to allegations of corruption in procuring Bofors guns from a Swedish company, has rocked the Indian political scenario for a long time. The Delhi High Court had quashed charges against former Prime Minister Rajiv Gandhi in 2004. Later, Hinduja brothers were acquitted in 2005. In 2011, Italian dealer Ottavio Quattrocchi was also discharged by a trial court in Delhi.